Berkeley Police Department is seeking the community’s assistance in solving a series of robberies that have occurred since Nov. 9, according to a Nixle alert released Thursday. 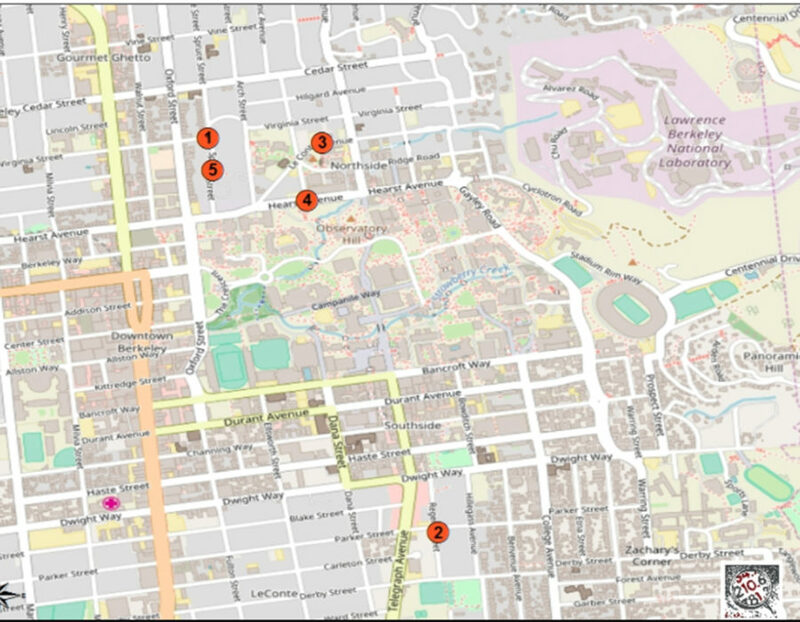 The alert warned the community that college-aged pedestrians walking alone near campus have been targeted for robberies. Four of the incidents occurred north of campus, while another took place south of the campus. According to the alert, descriptions of the attack all follow a similar pattern. 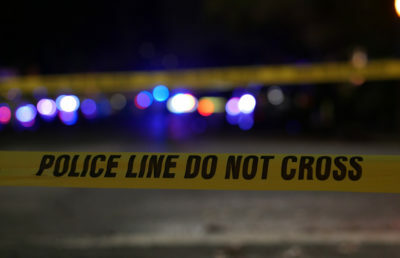 “Based on the geographic proximity of the crime scenes, victim descriptions, suspect descriptions, and the suspects’ (alleged) methods, Detectives believe these cases are related and is the work of (an alleged) robbery crew,” the alert said. The first incident was an attempted robbery that took place Nov. 9 about 9:16 p.m. at the intersection of Spruce and Virginia streets, according to the alert. The alert alleged that two suspects attacked the victim, who was walking alone. 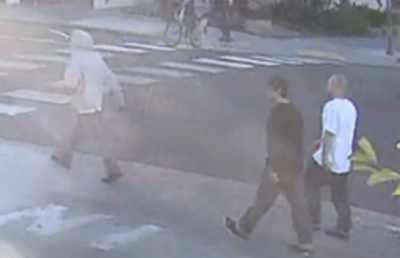 The suspects allegedly tried to take the victim’s backpack, but he fought back. The alert described the suspects as two thin Black males between the ages of 18 and 22, about 5-feet-10-inches and 5-feet-11-inches in height, respectively. On the same day, two suspects allegedly grabbed a victim and took his property on the 2600 block of Regent Street about 10:05 p.m., the alert said. According to the alert, the suspects were described as one thin Black male and one thin white or Hispanic male, both about 18-22 years old and about 5-feet-11-inches to 6 feet two inches in height, respectively. The third incident was an attempted robbery that occurred Sunday about 7:25 p.m on the 2400 block of Le Conte Avenue, according to the alert. Two suspects approached a lone victim and allegedly tried to take the victim’s phone and backpack. The victim, however, resisted, and a fight broke out between them. The robbery was interrupted by an approaching vehicle, the alert said. The alert described the two suspects as white males, both about 20 to 25 years old and 5-feet-10-inches in height. The alert added that one suspect had a thin build, while the other had a medium build. An hour later, about 8:37 p.m., another lone suspect was approached by two suspects. The alert alleged that one suspect grabbed the victim and took his backpack, while the second suspect threatened to have a gun. The alert described the first suspect as a Hispanic male about 25 to 30 years old with a heavy build and black hair. The second suspect is described as an Asian male of medium build, about 25-30 years old and 6 feet in height, according to the alert. 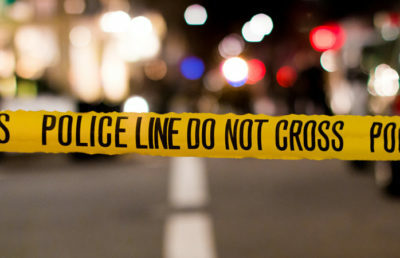 The fifth incident was an attempted robbery that took place Tuesday about 6:35 p.m. on the 1700 block of Spruce Street, when a victim, who was walking alone, was approached by two suspects. The alert alleged that one suspect threatened he had a gun while the other tried to take his backpack. When the victim resisted, the suspects allegedly assaulted him, according to the alert. The altercation was stopped when nearby bystanders began to yell. The alert described the first suspect as a Hispanic male, about 18-25 years old and 5-feet-8-inches to 5-feet-10-inches in height, respectively. The second suspect was described as a Hispanic or Black male, about 18-25 years old and 5-feet-10-inches to 6 feet in height, respectively, according to the alert. In light of the series of robberies, BPD warned community members to be cautious when walking at night, advising them to pay attention to their surroundings and travel in groups whenever possible. Anyone with information about this crime is asked to call the BPD Robbery Detail at 510-981-5742.